An arborist is a professional who practices the cultivation, management, and study of individual trees, shrubs, vines and other perennial woody plants. Arborists generally focus on the health and safety of individual plants and trees, rather than managing forests or harvesting wood. An arborist’s focus is distinctly different from that of foresters, loggers, landscapers or gardeners … though these professions share much in common. 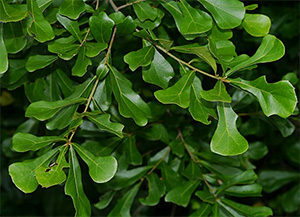 Tree trimming and pruning is the practice of selectively removing parts of a plant including branches, buds and roots. Reasons to prune plants include deadwood removal, shaping – controlling or directing growth, improving or maintaining health, reducing risk from falling branches, preparing nursery specimens for transplanting and both harvesting and increasing the yield or quality of flowers and fruits. Being an arborist also entails targeted removal of diseased, damaged, dead, non-productive, structurally unsound or otherwise unwanted tissue from crop and landscape plants. Specialized pruning practices may be applied to certain plants like roses, fruit trees, and grapevines. It is important when pruning that the tree’s limbs are kept intact, as this is what helps the tree stay upright. Different pruning techniques may be deployed on herbaceous plants than those used on perennial woody plants. Hedges, for example, are usually maintained by hedge trimming, rather than by pruning.